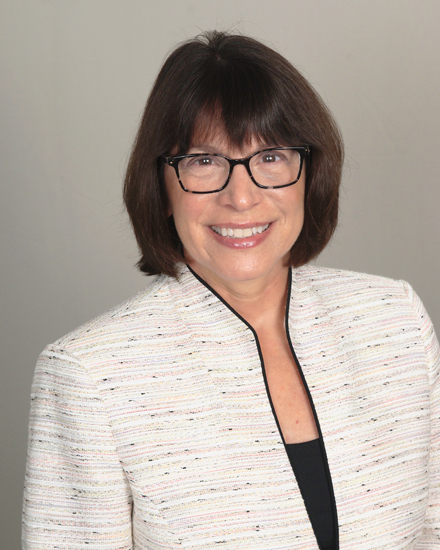 Louise Schorn Smith - President of Countryside Consulting, Inc.
Louise Schorn Smith, CPA, CMA, MBA is the Founder, President and Owner of Countryside Consulting, Inc. Ms. Smith is a knowledgeable business professional with broad experience in financial and organizational management. Her extensive management roles include accounting, budgeting, forecasting, financial analysis, general management, program planning, and reporting to Board of Directors. Her previous work as a senior manager with leading companies in the area and her current work as a consultant enable her to provide her clients with an objective perspective that is both strategic and practical. Ms. Smith currently serves her community as a Board Member of the Rodale Institute and the Claremont Village Homeowners Association where she lives in Eagleview. Also, she is a member of the Chester County Community Foundation’s Finance Committee. In the past she has served as a member of the Board of the Pennsylvania Association for Sustainable Agriculture (PASA), Family Service of Chester County, Maysie’s Farm Conservation Center, and the Farm Based Education Association, and was the founding Treasurer of the Chester County Flower Show. Ms. Smith, in her Board role, is an effective fundraiser helping nonprofit organizations connect with like-minded philanthropists in their communities. Ms. Smith is both a Certified Public Accountant and a Certified Management Accountant. She received her MBA in management from West Chester University and is a graduate of Drexel University with a Bachelor of Science degree in accounting. Ms. Smith is a member of the American Institute of Certified Public Accountants, the American Woman’s Society of Certified Public Accountants and the Pennsylvania Institute of Certified Public Accountants. She is a Certified QuickBooks ProAdvisor and also earned the Able Toastmaster designation. Ms. Smith has also earned the AIPCA’s Not-For-Profit Certificate, a distinction that demonstrates her in-depth knowledge of nonprofit accounting issues. Ms. Smith received the AWSCPA’s Lead By Example national award in 2015. This award recognizes businesses with a strong women’s program in place and strong women in leadership positions. For further information, read the Press Release.